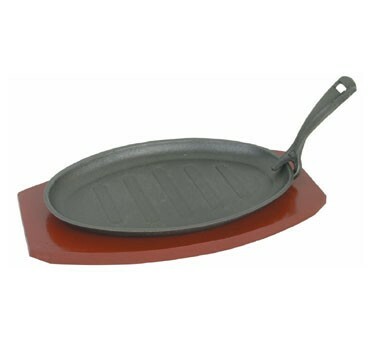 Serve steaming hot entrees with the Thunder Group IRBB001 3-Piece Cast Iron Pork Board/Sizzle Platter Set. The set comes complete with a gripper, sizzle platter and wooden underliner, so you can serve freshly cooked food straight from the stove. Made of cast iron, this sizzle platter offers excellent thermal conduction and retains heat so your food will stay hot for longer. In addition, its gripper makes it easy to handle and its wooden underliner keeps your table protected from high temperatures. 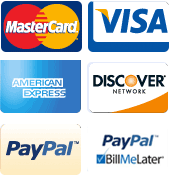 12-1/2" x 7" x 1/2"
Fast delivery, product as expected. Great addition to our menu! This has become the best attraction of our menu. When people order the mixed grill we bring it out on this sizzling cast iron platter, it attracts everyone's attention and makes everyone mouth water! This is a great addition to our menu! Thank you!! Great for serving specialty items like steak or meats for fajitas! Nice item, well worth the price. I requested speedy delivery and got it. Product is dependable and easy to wash.